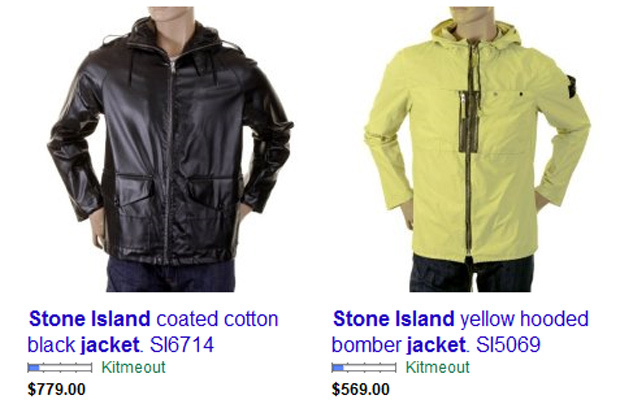 Stone Island Jackets – Kitmeout Designer Clothes – Fashion Blog & Fashion Forum. The 30/30 jacket is a cross section of the state of the art of Stone lsland. A testament to three decades of exploration and development. Two pieces in one, the jacket shell and jacket liner, both reversible, which assume different features in 30 ways of use. They can be worn, together or alone, in a total of 10 different ways and in 3 different states: Normal, Ice and Reflective. 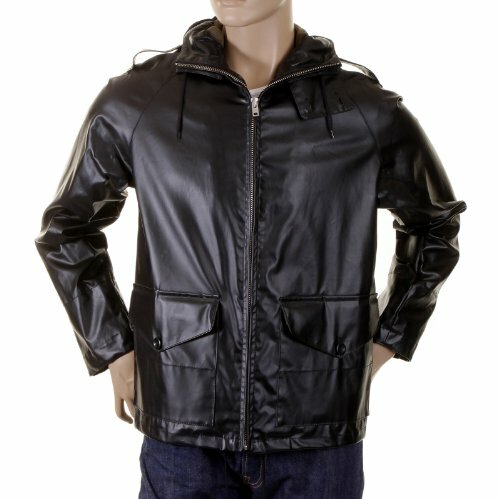 The hooded jacket shell is in RUBBERISED SATIN PRISMATIC COVER. Jacket in Raso Gommato: cotton satin, military fabric, with a polyurerhane coating, waterproof and windproof. It is a glossy, transparent and finely grooved film that provides a three-dimensional prismatic effect that refracts light, amplifying the effects of the bi-colour double dyeing. The addition of a special agent to the dyeing recipe makes the garment antidrop. Inside, the jacket liner in THERMO REFLECTIVE, a thermo-sensitive and reflective fabric. A nylon substrate, bonded both with glass microspheres that enable the fabric’s refractivity as well as the microencapsulated pigments that change the passage of light are incorporated, and therefore the colour of the material changes as a function of temperature. Internal WOOL KNIT with nylon sleeves. Worth a butchers! 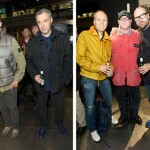 Here are the pictures of the STONE ISLAND ARCHIVIO ’982–’012 event, that has been held yesterday at the London Store in Brewer Street. STONE ISLAND SS’012. 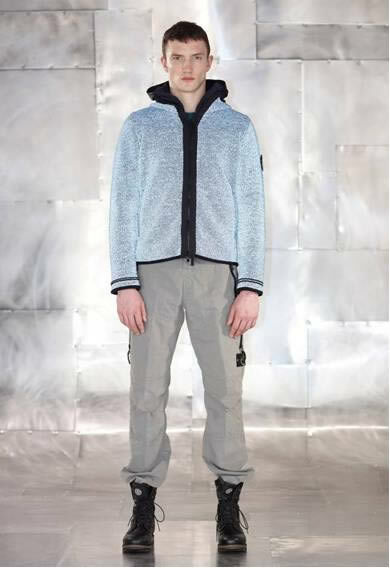 The Spring Summer’012 collections of Stone Island, Stone Island Shadow Project and Stone Island Junior. Take a butchers. 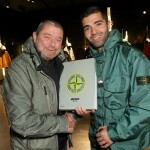 STONE ISLAND AND 30 YEARS OF HISTORY. 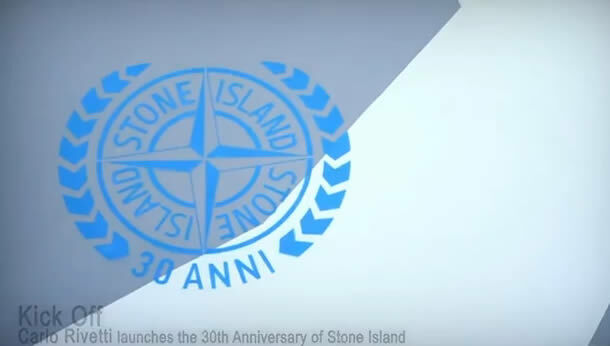 It is an important year for Stone Island, that through a growth, which has allowed it to double its sales since 2007, is getting ready to face an important 2012: the 30th anniversary celebration of its hard work will see its involvement in both product and communication projects. 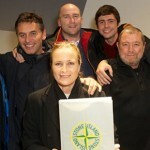 This is a celebration that begins with the product because, for Stone Island, that’s where it all begins. The next Autumn/Winter ‘012 collection, an important and structured collection, really represents the excellence that the company has achieved within each family of product. 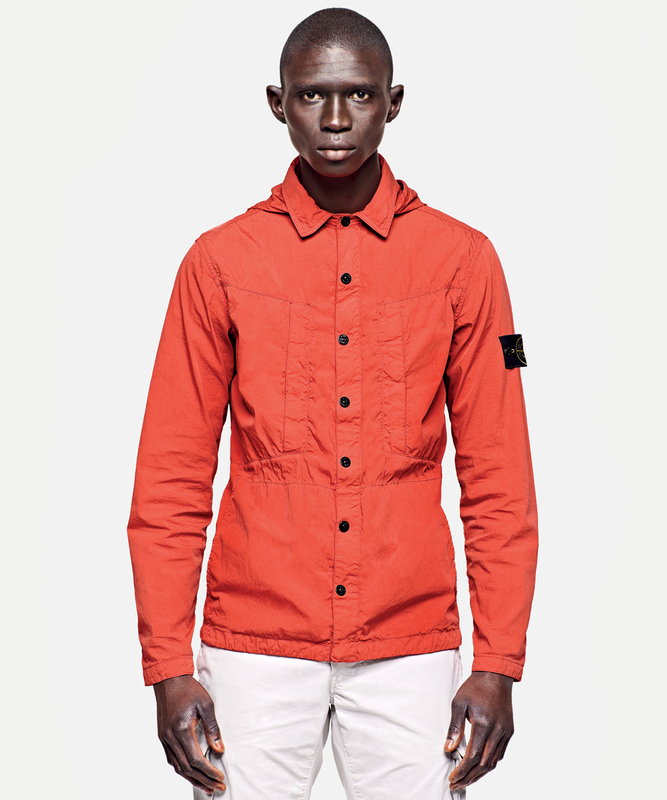 3 symbolic pieces have been designed to represent par excellence the history and methodology of Stone Island. – Tela Stella: the genesis, the origin. 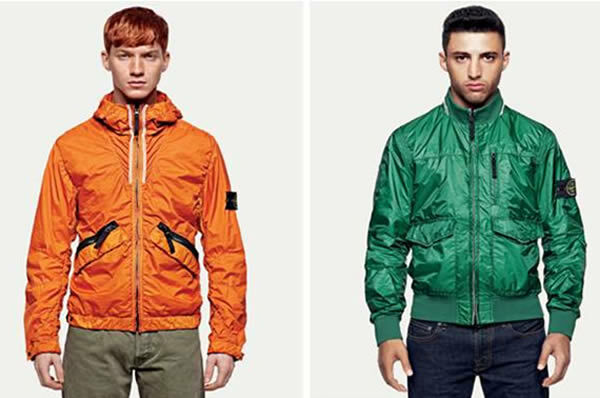 In1982, Stone Island was founded with just one fabric in 6 different colours. Thirty years later, the exact replica of a piece from its first collection is available, a fabric inspired by a study on the technical and functional features of tarpaulins for military trucks. 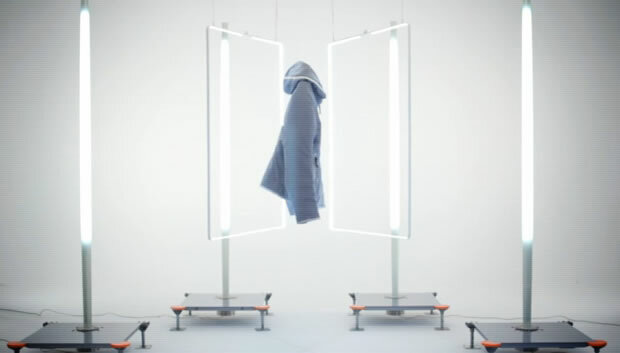 – Reflective Knit: playing with material. Transferring technology from fabric to yarn, the ultimate in Stone Island research. Created using a Reflective yarn, built with micro plates covered with thousands of glass microspheres enclosed in a polyester net, printed using pressure/heat sublimation to melt the fibres and get an even surface with a jersey and high performance Windstopper® liner. – 30/30: engineering the garment, the sum of the key. Two garments in one, both reversible, which can be worn in 30 different modes. In Raso Gommato Prismat¬ic Cover, a cotton-based satin coated inside with a prismatic polyurethane film, garment dyed with a double dye formula and in Thermo Reflective, a heat sensitive and reflective fabric knitted inside. 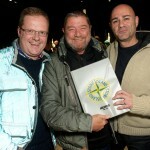 Three decades to talk about, covering various areas and remaining faithful to the language of Stone Island. – The Show: with the Fondazione Pitti Discovery, at the Stazione Leopolda in Florence in June 2012, starting with Pitti Uomo 82. 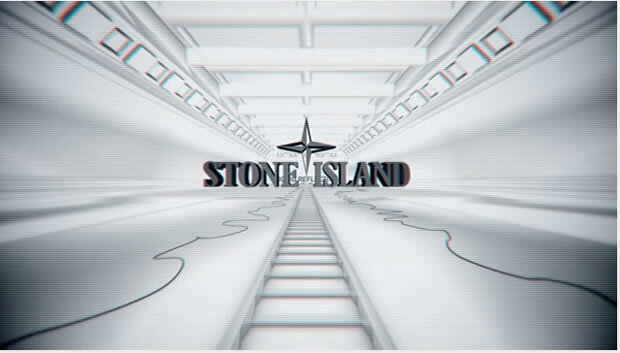 A retrospective that explores all the key areas of Stone Island. 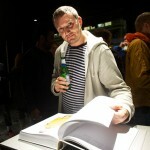 – The Book: 300 iconographic images that cover its 30 years history. It will be released in June / July by Silvana Editoriale and printed by Grafiche Amilcare Pizzi. Directed by Nick Griffiths, “TITLE.” is a portrait of Dudley O’Shaughnessy: raised in east London, Dudley has boxed since the age of nine at the West Ham Boys Club, with his father acting as trainer. 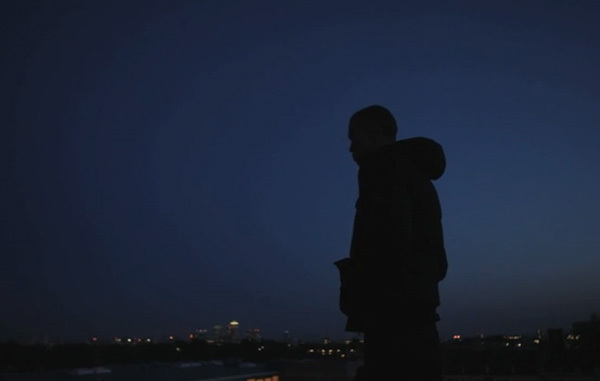 Now 20, his passion for boxing takes him to within arms reach of his Olympic 2012 dream. 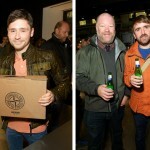 Away from boxing Dudley embarks on a modelling career including fronting the Stone Island Autumn/Winter ’010 campaign and appearing in lookbooks and video installation pieces for the brand. Lightness and new techniques. 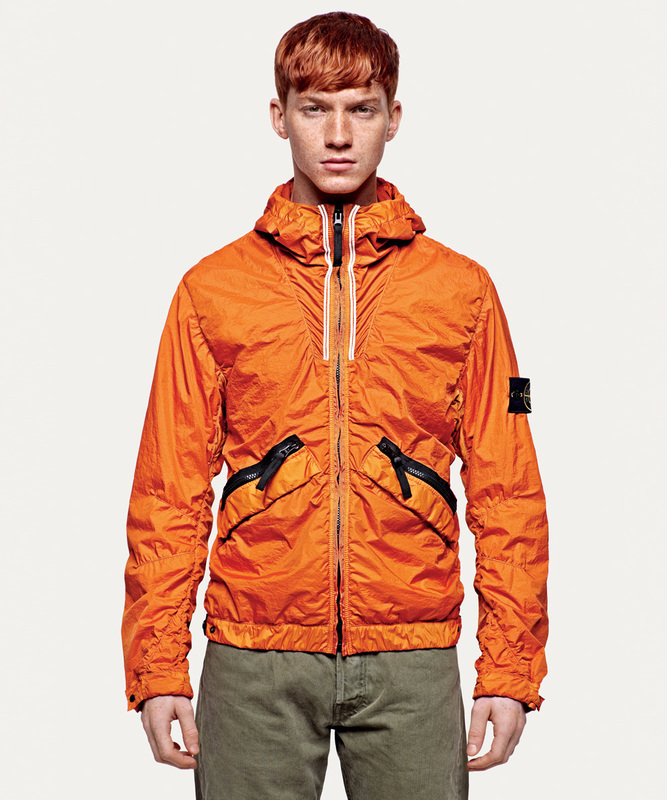 The new process developed by Stone Island, to make the nylon ultra-light, garment dyed, down jacket. 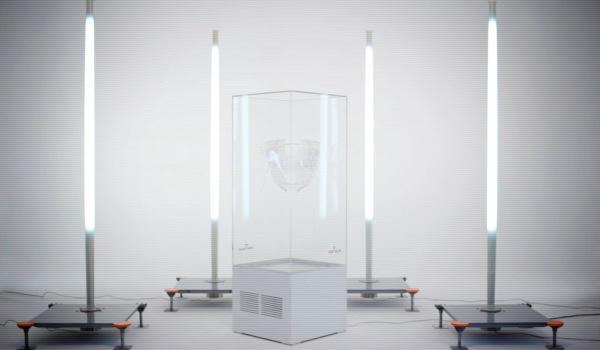 Ultra-light nylon weigh­ing only 26 grams per square metre. Filled with the finest down, appositely treated to bear the stress of the garment dyeing procedure. Extra lightness and comfort achieved through the direct injection of the feathers and by a simplified construction of the down bags. Garment dyed through special formulas to achieve otherwise unreachable shades. The addition of a special agent to the dye formula makes the piece anti-drop. 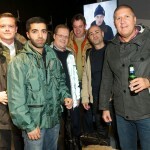 R&D VIDEO: 5515 STONE ISLAND ICE JACKET AW’011’012. The Ice Jacket is a high rate technology garment: the cotton fabric has a thermo-sensitive coating, water and wind resistant. The molecules of the coating’s micro-encapsulated pigments modify the passage of light when temperature lowers and morph to darker a colour. Experimentation, research and design. 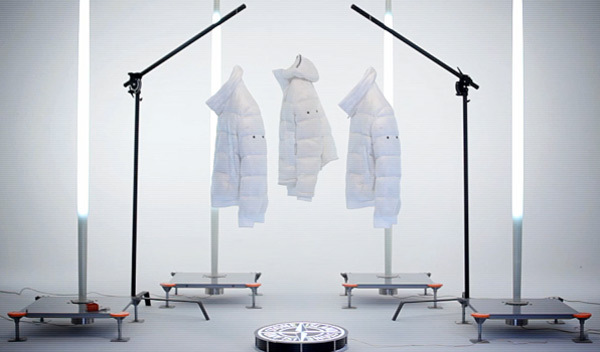 Stone Island describes through metaphorical images the making of the AW ‘011’012 Liquid Reflective Jacket. 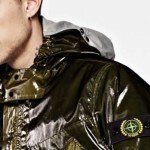 Here are a couple of Stone Island Jackets worth a butchers. Stone Island coated cotton black jacket. SI6714. Stone Island, mens regular fit, polyurethane coated cotton, black jacket. Signature star logo embroidered on sleeve. Zip front closure. Raised collar with drawstring and buttonned flap. Peaked hood with adjustable buckle and tab. Inner lined elasticated sleeve cuffs, drawstring at jacket bottom. 2 lower front pockets with folded flap and button closure. Shoulder epaulettes. 100% cotton detachable inner sleeveless lining with printed logo and single pocket. Made in Italy. Stone Island yellow hooded bomber jacket. SI5069. 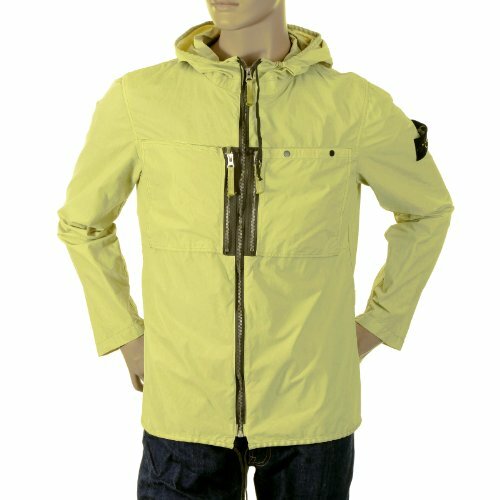 Stone Island, mens regular fit, polyurethane coated cotton/nylon yellow bomber jacket. Signature star logo button badge on sleeve. Zip front closure. Drawstring hood and bottom hem. Adjustable press stud on waistband and sleeve cuffs. Chest patch pocket with side zip closure. Further double chest patch pocket with side zip closure and top double press stud closure. All zips on nylon tape and have canvas zip pulls. 57% nylon 43% cotton, 100% polyurethane coating. Made in Italy. 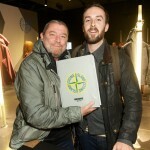 Sneak Preview:Stone Island Landing in Paris June 24th ‘011 316 Rue Saint Honoré 75001. 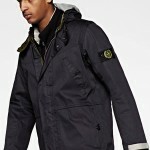 Stone Island the Italian designer label for men with a worldwide following. The brand is exclusive and very limited. 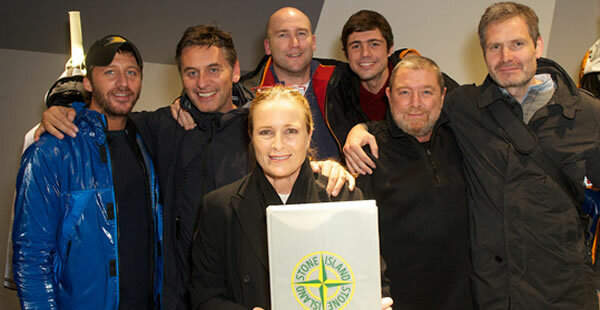 Stone Island was created by chance, as we like to say, in 1982. At the time, the firm was called C.P. Company, as was the brand it produced. C.P. Company was considered the forefather of all Italian casual wear brands. 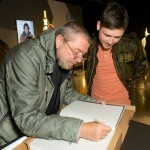 Its “subtitle” was ‘Ideas from Massimo Osti’ and Massimo, a graphic designer and intellectual from Bologna invented it. In the mid Seventies, he was the first to get interested in army surplus garments, to understand the importance of the enormous cultural wealth to be found in vintage markets in Italy, a territory that through the ages had seen so many ancient and modern armies pass by. Massimo was the first to study the functional characteristics of these garments, cataloguing shapes, pockets, fastenings, garment accessories and studying the worn looks and faded colours that are so full of historical flavour. In order to reproduce them, in Ravarino, in the province of Modena, he perfected a sophisticated garment dyeing laboratory and experimental print works. He began research into materials and weaves, mixing them, coating them and transforming them by dyeing the finished garments. One day a special material arrived: a heavy lorry tarpaulin. It was red on one side and blue on the other. What could be done with that? In order to transform it into an item of clothing, it was put into a washing machine with water and pumice stone and washed, for hours, in order to soften its structure, subduing it. The first prototype had an incredible feel, but it looked entirely outside of C.P. Company’s vocabulary. It did not belong to the label. 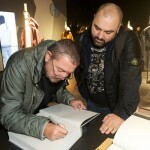 As a result, a decision was made to create seven jackets in that unique fabric, known as “Tela Stella”, and to give the collection a name: Stone Island. Stone Island had a marine feel, reminiscent of oilskins that have been corroded by the sea, as well as a military feel, arising from the background of research undertaken up until that time. The name too, evoked the love for the sea and the treatment used to create the garments. The badge – the embroidered fabric label that has distinguished the brand since the first season – held the Compass Rose and was displayed like an insignia on a military garment.